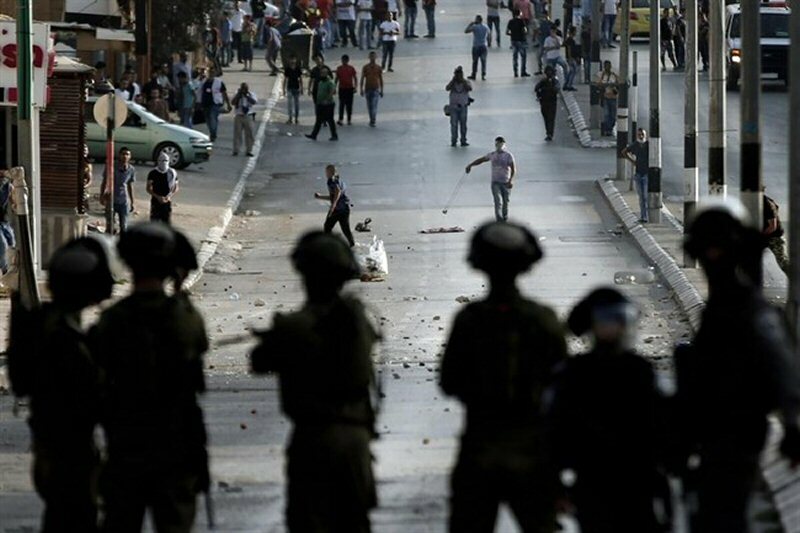 US President Donald Trump’s special envoy to the Middle East Jason Greenblatt has publicly called on the Palestinians to recognize the State of Israel and commit to nonviolence. 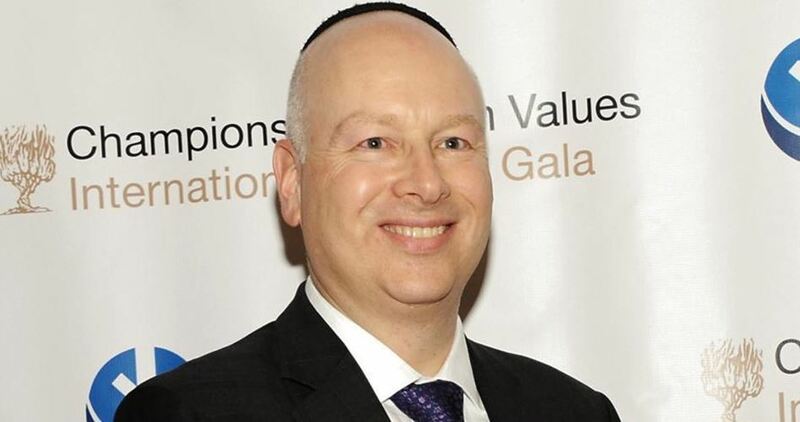 Uploaded on his Twitter page, Greenblatt, who has paid several visits to the region in a bid to inject energy into the moribund peace talks, said “The United States stresses that any Palestinian government must unambiguously and explicitly commit to nonviolence, recognition of the State of Israel, acceptance of previous agreements and obligations between the parties, and peaceful negotiations." In addition, Greenblatt mentioned underway efforts to reconcile the Palestinian political factions, which he said have been the byproduct of pressure by several neighboring countries. “The United States welcomes efforts to create the conditions for the Palestinian Authority to fully assume its responsibilities in Gaza, as noted in the September 28 Quartet statement,” he declared in the brief. Greenblatt’s statement has been read as a rare layout of the White House’s preconditions to kick-start stalled peace negotiations between Israel and the Palestinians. The comments were released shortly after the Palestinian Prime Minister Rami al-Hamdallah began his reconciliation visit to Gaza on Monday, arriving in a vehicle motorcade through the Erez border crossing separating Israel and Gaza. He was accompanied by a large delegation of Fatah officials from the West Bank-based Palestinian Authority, dozens of aides, and armed bodyguards. 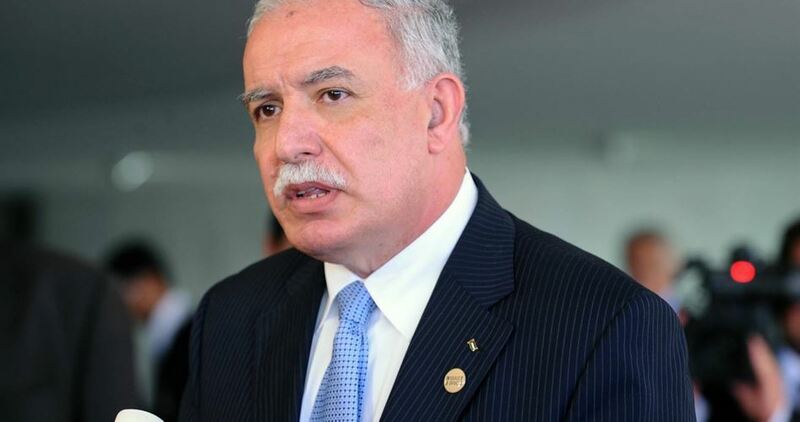 Upon entering the Gaza Strip, al-Hamdallah said that he hoped the reconciliation would succeed, and that the main beneficiary of the division between the Palestinian Authority and Hamas is Israel. Hebrew sources unraveled behind-closed-doors cooperation between the Israeli government and the US administration to construct new settlement units on Palestinian land in al-Khalil. The Hebrew-speaking 0404 news site quoted sources close to the Israeli Prime Minister, Benjamin Netanyahu, as denying reports that the construction of new settlement homes is the product of pressure by Israel's Interior Minister, Aryeh Deri, and Education Minister, Naftali Bennett. According to the same sources, last month, Netanyahu told the US administration about his decision to construct dozens of new homes for Israeli settlers in the southern occupied West Bank province of al-Khalil. On Sunday, the Israeli government approved a plan to construct 31 settlement homes in al-Khalil, in a move that is said to be forwarded by Deri and Bennett. Israeli settlements across the occupied Palestinian territories are deemed illegitimate under international law. PLO Executive Committee Member Dr. Hanan Ashrawi and the Secretary-General of the PLO Executive Committee Dr. Saeb Erekat both issued press releases criticizing US ambassador David Friedman, who said that Israel is occupying only 2% of the West Bank, among other statements that show his “blatant bias to Israel,” as Dr. Ashrawi called it, whereas Dr. Erekat said that it is an attempt to normalize Israel’s colonial policies. According to the PNN, Dr. Ashrawi said that “The US Ambassador to Israel has proved once again that he is completely removed from reality. In addition to his long-standing support for Israeli settlements, and after referring to the “alleged occupation” of Palestinian land, he has the audacity to maintain that Israel occupies only 2% of the West Bank and that illegal settlements that carve, annex and steal Palestinian land are part of Israel. This Ambassador has continued to visit illegal settlements and even joined the Israeli celebrations in June marking the occupation of Palestinian land in 1967. “Not only does the Ambassador break from long-standing US policy, he is also at odds with the international legal, political and moral consensus. His positions are a mirror reflection of the settlers’ ideology in Israel’s right-wing coalition government rather than that of successive administrations that have claimed to be invested in peace. “The US Ambassador to Israel cannot impose his alternative facts or realities on an entire people that has been held captive under a brutal occupation for half a century. The occupation exists. Settlements are illegal under international law and constitute a war crime. These facts and realities are not in question. For his part, Dr. Erekat said that it is not the first time that Mr. David Friedman has exploited his position as US ambassador to advocate and validate the Israeli government’s policies of occupation and annexation. 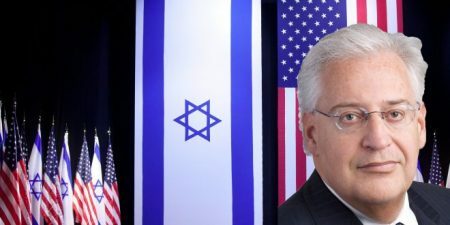 He was the first US ambassador to participate in the Israeli celebrations of the colonial occupation and annexation of East Jerusalem this June, has continuously announced his intention to continue visiting illegal settlements in Occupied Palestine, as well as he has referred to the Israeli occupation of Palestine as “alleged”. His latest statement about Israel, “occupying only 2% of the West Bank” declaring that “Israeli settlements are part of Israel” is not only false and misleading but contradicts international law, United Nations resolutions and also the historical US position. Israel is internationally recognized as the occupying power over 100% of Palestine, including in and around Occupied East Jerusalem. Such positions undermine ongoing efforts towards achieving a just and lasting peace between Israel and Palestine on the 1967 border. 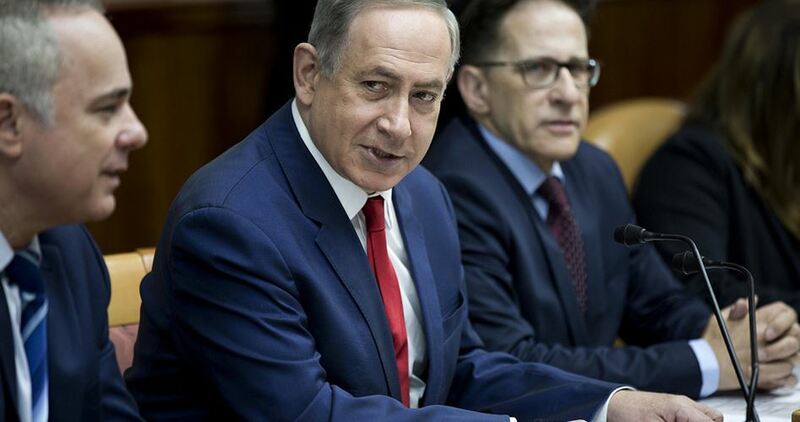 In a press release, the ministry said that Netanyahu’s address reflected malicious and latent intents towards the peace process and would not help create a positive atmosphere for launching talks between the Palestinian and Israeli sides. Netanyahu addressed the UN General Assembly during its 72nd session that was held on Tuesday in New York City. The peace talks between the Palestinian Authority and Israel came to a halt in 2014 after Netanyahu refused to stop settlement activities in the occupied Palestinian territories and accept the establishment of a Palestinian state along the 1967 borders. 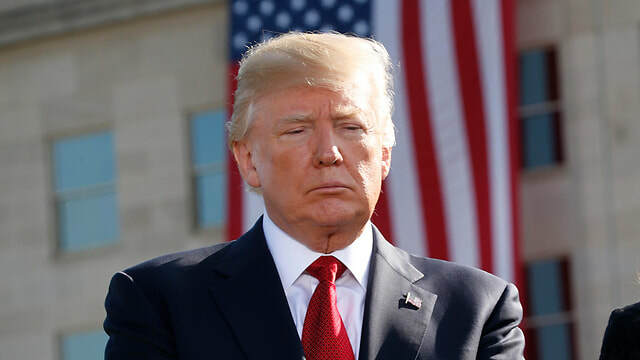 U.S. President Donald Trump, on Friday, expressed his deep affection for Israel during a call to American Jewish leaders on the occasion of the Jewish New Year, which coincides on Thursday, announcing that peace between the Palestinians and Israelis could actually happen. “I am proud to stand with the Jewish people and with our cherished friend and ally, the State of Israel,” he said, according to a statement published by the White House Office of the Press Secretary. According to WAFA correspondence, he was referring to the U.N. Human Right Council report that exposed Israel’s violations against the Palestinian people in the territories it has occupied since 1967. 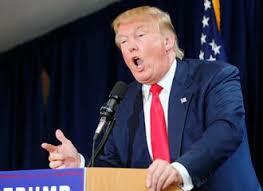 Nonetheless, Trump said, his administration continues to work to bring peace between the Palestinians and Israelis. In introducing Trump to the Jewish leaders, Jared Kushner, his Senior Advisor and son-in-law, who is an orthodox Jew, said that under the Trump administration, US relation with Israel has never been stronger. “Under the President’s leadership, America’s relationship with the State of Israel has never been stronger, and our country’s commitment to Israel’s security has never been greater,” he said. Kushner heads the U.S. team working on achieving peace between the Palestinians and Israel. He is jointed in this by special envoy Jason Greenblatt. After more than 20 meetings with the two sides since taking office in January, the Trump team has not been able to bridge the wide gap between the Palestinians and Israel. The Palestinians are not pleased with failure of the Trump administration to announce support for the two-state solution, as did previous administrations, and opposition to Israel’s non-stop settlement activity, which the Palestinians say is a major obstacle to peace. US administration is working to halt financial aid to Palestinians, over Palestinian Authority's long-standing practice of rewarding Palestinian terrorists who have killed Americans and Israelis; 'Peace can never take root in an environment where violence is tolerated, funded and even rewarded,' Trump reportedly told Abbas during their meeting in May. The Trump administration is backing legislation that would suspend US financial assistance to the Palestinian Authority until it ends what critics say is a long-standing practice of rewarding Palestinians who kill Americans and Israelis. In comments Thursday, the State Department says the administration "strongly supports" the bill. The State Department said President Donald Trump raised the issue with President Mahmoud Abbas during meetings in May. "Peace can never take root in an environment where violence is tolerated, funded and even rewarded," Trump reportedly told Abbas at the time. The measure is named after Taylor Force, an MBA student at Vanderbilt University in Tennessee and a West Point graduate. He was visiting Israel in March 2016 when he was stabbed to death by a Palestinian. Force was from Lubbock, Texas. The Senate Foreign Relations Committee approved the bill in early August. A bill aimed at preventing any future divisions of Jerusalem, by requiring a two-third majority in Israel’s parliament, in order to do so, passed its preliminary reading in the Knesset, on Wednesday. 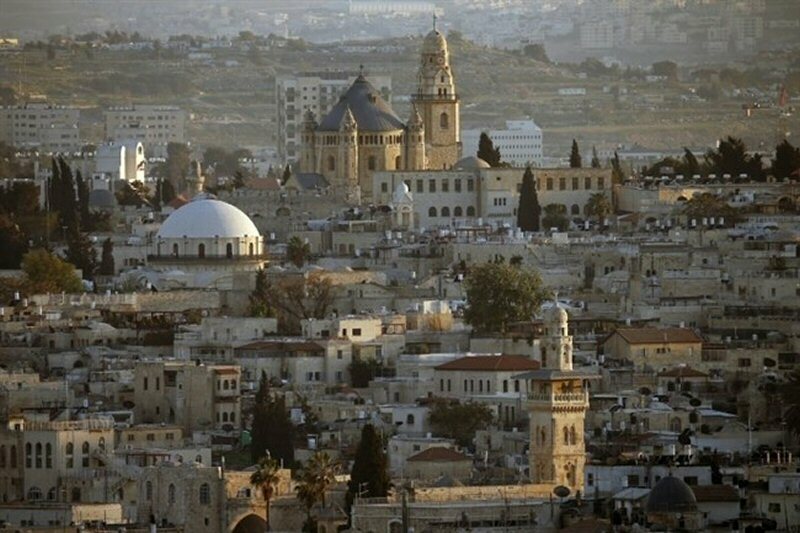 The bill, titled “Basic Law: Jerusalem, the Capital of Israel,” passed with 58 Members of Knesset (MKs) voting in favor, 48 voting against it, and one MK abstaining from the vote, according to a statement released by the Knesset. 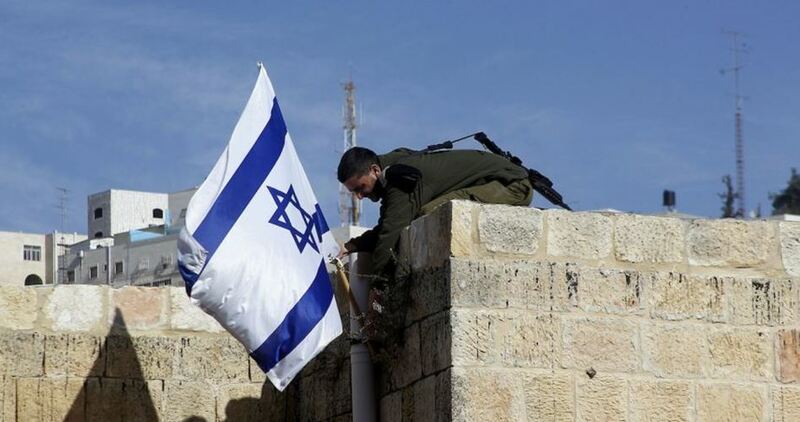 According to Ma’an, the bill aims to mend Israel’s Basic Law on Jerusalem, to necessitate the approval of 80 of the 120 Knesset members to make any changes to the law, instead of the regular majority vote. “Since the IDF’s withdrawal from Lebanon [in 2000] and the disengagement from the Gaza Strip [in 2005] proved that wherever Israel withdraws from, terrorist factors enter, threatening the security of citizens of Israel,” the bill reportedly states, insinuating that if Israel withdrew from occupied East Jerusalem, it would be taken over by “terrorist” factions. “The State of Israel will not allow the establishment of a Palestinian state with Jerusalem as its capital. Get it into your heads that Jerusalem will remain the capital of the Jewish People for eternity; 3,000 years after King David established Jerusalem as the capital of the [Jewish] People, we returned to it,” she added. The fate of Jerusalem has been a focal point of the Israeli-Palestinian conflict for decades, with numerous tensions arising over Israeli threats regarding the status of non-Jewish religious sites in the city, and the “Judaization” of East Jerusalem through settlement construction and mass demolitions of Palestinian homes. Right-wing Israeli leaders routinely claim that Jerusalem is the “eternal capital” of Israel. However, this claim is not supported by the international community, which still largely considers occupied East Jerusalem to be an integral part of a future Palestinian state. Meanwhile, MK Tzipi Livni from the centrist Zionist Camp noted that East Jerusalem includes “villages with hundreds of thousands of Palestinians. Police do not enter them, and neither does the education minister,” referring to right-wing MK Naftali Bennett who initially proposed the bill in June. Bennett had said in June that the purpose of proposing the law was to “unify Jerusalem forever,” by making it “impossible” to divide Jerusalem. While the PA and the international community do not recognize the legality of the occupation of East Jerusalem, Gaza, and the West Bank since 1967, many Palestinians consider that all historic Palestine has been occupied since the creation of the state of Israel in 1948. Meanwhile, a growing number of activists have criticized a two-state solution to the Israeli-Palestinian conflict as unsustainable and unlikely to bring durable peace given the existing political context, proposing instead a binational state with equal rights for Israelis and Palestinians. Israeli Prime Minister Benjamin Netanyahu has denied media reports claiming that Tel Aviv had agreed to slow the construction of illegal settlements in the occupied West Bank to kick-start the peace process. The Prime Minister’s Office denied reports by Hebrew-speaking and Arab news outlets that the White House special envoy Jason Greenblatt and senior Israeli and Palestinian Authority (PA) leaders had secured backing for new final status agreement talks, including assurances from Israel that construction in the occupied West Bank would be slowed during negotiations with the PA.
Greenblatt met a Palestinian delegation headed by chief negotiator of the Palestine Liberation Organization (PLO), Saeb Erekat, yesterday and informed him of President Donald Trump’s initiative to re-launch political negotiations between the Palestinian and Israeli sides. During the meeting, which discussed Trump’s vision for kick-starting talks, Palestinian officials confirmed that the Israeli side promised the Americans that they intended to slow down construction of settlements during the negotiating process. Reports also confirmed that Trump will formally announce the resumption of direct talks between Israel and the PA, chaired by Mahmoud Abbas. Other Israeli sources, however, confirmed that no such assurance was given. In a statement transmitted during the two-day forum entitled “Ending the occupation: The path to independence, justice, and peace for Palestine,” Guterres called for direct negotiations to achieve a two-state solution to the Israeli-Palestinian conflict in accordance with international law. According to Ma’an News Agency, UN Deputy Secretary-General Amina Muhammad, who attended the forum, also denounced the impact of the international community’s inaction on Palestinians. “The lives of generations of Palestinians and Israelis have been confined by a conflict that has shaped the physical and human landscape with (Israeli) concrete walls, checkpoints, and watchtowers, all under a heavy atmosphere of fear, mutual distrust and despair,” Muhammad added. “Some think that the situation can be managed. They are all wrong. It must be resolved,” she stressed, reiterating the UN’s position that only a two-state solution could successfully end the conflict. While the Palestinian Authority (PA) and the international community do not recognize the legality of the occupation of East Jerusalem, Gaza, and the West Bank since 1967, many Palestinians consider that all historic Palestine has been occupied since the creation of the state of Israel in 1948. The forum, which brought together a number of Israeli and Palestinian officials, as well as civil society representatives, sparked outrage among Israelis over comments made by Palestine Liberation Organization (PLO) Secretary-General Saeb Erekat. The PFLP and Hamas are considered terrorist organizations by the United States, Canada, the European Union and Israel, despite their popularity among Palestinians as resistance movements against the occupation. Hamas’ position as the de facto ruling party in the Gaza Strip has also made it difficult for organizations based in the besieged coastal enclave, such as Al Mezan, to avoid interacting with the movement. “We are a people who strive to achieve our independence, and our choice in the PLO is to achieve peace peacefully through negotiations,” The Jerusalem Post quoted Erekat as saying. Erekat went on to slam Israeli Prime Minister Benjamin Netanyahu for making the implementation of a possible two-state solution impossible, notably through Israel’s continuous expansion of illegal settlements across the occupied Palestinian territory. While the PA and members of the international community have rested the solution to the Israeli-Palestinian conflict on the discontinuation of illegal Israeli settlements and the establishment of a two-state solution, Israeli leaders have instead shifted further to the right, with more than 50 percent of the ministers in the current Israeli government publicly stating their opposition to a Palestinian state. A growing number of pro-Palestinian activists have also criticized a two-state solution to the Israeli-Palestinian conflict — establishing a Palestinian state along 1967 lines with East Jerusalem as its capital — as unsustainable and unlikely to bring durable peace given the existing political context, proposing instead a binational state with equal rights for Israelis and Palestinians. Marwan Barghouthi, member of the Central Committee of the Fatah Movement, warned against the resumption of negotiations with Israel based on the previously announced conditions, specifying six conditions for the resumption of negotiations. The Fatah leader, who is serving five life sentences in Israeli jails, also called for civil disobedience against the Israeli occupation authorities, and championed holding a Palestinian national conference to launch a national comprehensive dialogue and establish a national unity government. 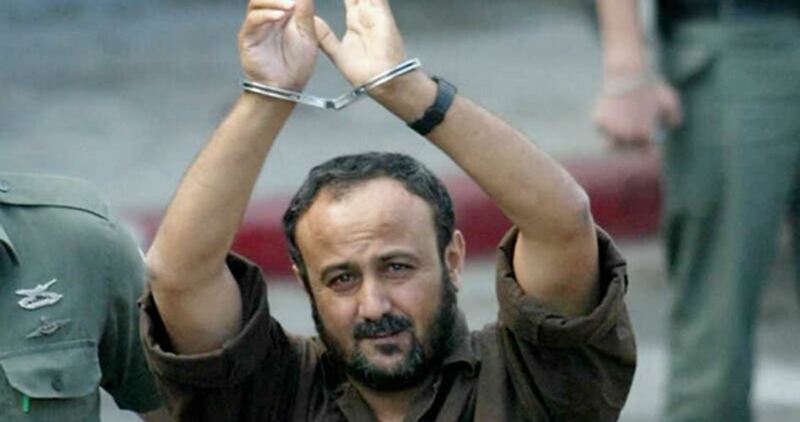 Barghouthi, who has been leading the hunger strike in Israeli jails for 28 days, said in a statement on Sunday: “I warn against the resumption of negotiations based on the previously announced conditions that proved their failure”, underlining six conditions for the resumption of negotiations. He appealed to the Palestinian factions, especially Fatah and Hamas, to achieve national reconciliation and to renew dialogue in order to hold a national conference of comprehensive dialogue in order to reach a covenant and partnership document among factions, to preserve Palestinian representation and to prevent the collapse of the Palestinian political system, which is living through its weakest moments. He also called for the formation of a national unity government immediately, with the participation of all factions, the restoration of Palestinian democratic life and the state of national unity to face the colonial occupation of Palestine, as demanded by prisoners who proposed the Prisoners' Document and launched the mass ‘freedom and dignity’ hunger strike to further unify the positions of Palestinians. Barghouthi paid tribute to the striking prisoners, pledging to continue the battle of freedom and dignity for Palestine until achieving its objectives. He condemned the Israeli brutal persecution of hunger striking prisoners, who went on hunger strike to achieve their just human demands. He pointed out that hundreds of them were harassed and humiliated. Some were transferred in vehicles for 18 hours, others placed in solitary confinement, which resulted in exhausting their bodies, while they were deprived of meeting their lawyers. He stressed that all attempts to blackmail prisoners along with the cruel and harsh measures imposed against them, and the brutal conditions they are living in, would only increase their determination and belief in achieving victory. Barghouthi's statement came after a visit made by lawyer Khader Shkirat at the Jalameh detention center after the Israeli prison authorities prevented the lawyers from doing so for 28 days. Shkirat quoted Barghouthi as saying that the Israeli prison authorities break into his cell four times a day and subject him to strip searches, with his hands and feet handcuffed. Barghouthi said that he was held in a dungeon beneath the isolation ward for four days. He was moved out after he stopped taking water. He said he was subjected to annoying sounds for hours coming from equipment placed there on a daily basis, forcing him to stuff his ears with napkins. Shkirat added that Barghouthi's cell lacks all basic requirements. It is full of insects and bugs, and only one blanket is available, adding that it does not contain any kind of books including the Holy Quran. He also said that Barghouthi had not been able to change his clothes since the start of his strike. He was transferred from the cell to the prison clinic with his hands and feet tied, and has lost 12 kilograms of his weight, the lawyer underlined.